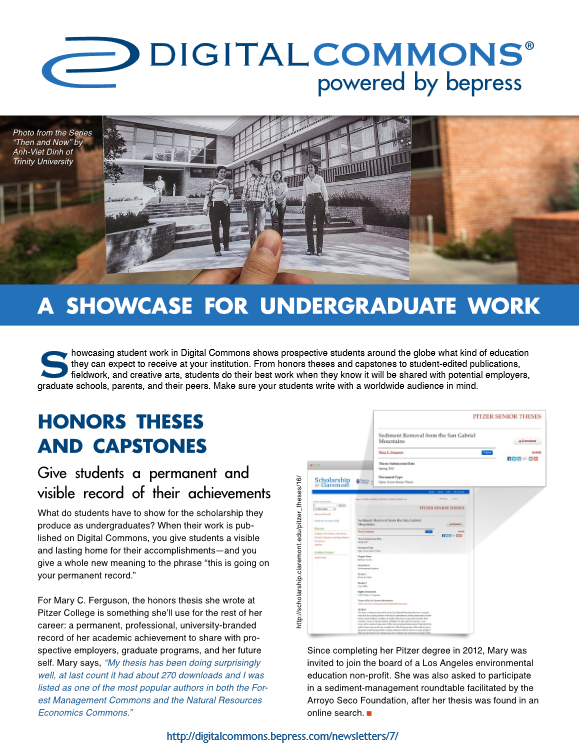 Showcasing student work in Digital Commons shows prospective students around the globe what kind of education they can expect to receive at your institution. From honors theses and capstones to student-edited publications, fieldwork, and creative arts, students do their best work when they know it will be shared with potential employers, graduate schools, parents, and their peers. Make sure your students write with a worldwide audience in mind. This is a three-page handout highlighting these benefits.